‘Tis the season for our annual holiday gift card promotion! 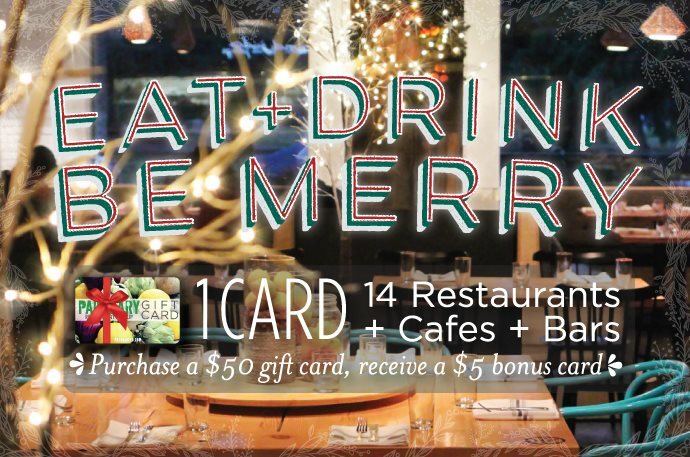 From now until December 31st, you’ll receive a bonus $5 gift card for every $50 worth of gift cards purchased at any of our restaurants or online. Paragary Restaurant Group gift cards are the perfect gifts for the foodies in your life, so give the gift of great taste this year!